Oregon legalized medical cannabis in 1998. Under the medical program, patients could grow their own or allow a grower to do it for them. After that, Oregon’s voters twice voted down initiatives to allow retail sales of medical marijuana. The state’s medical marijuana program was structured to value patient care over profit. In 2014, voters approved an initiative to legalize recreational marijuana, and a new market has developed quickly. Unfortunately, the recreational market is shading out the medical market, leaving patients underserved and driving medical providers out of business. One notable cause is simply the desire to make money: many medical providers have turned to the recreational market in order to increase profits. 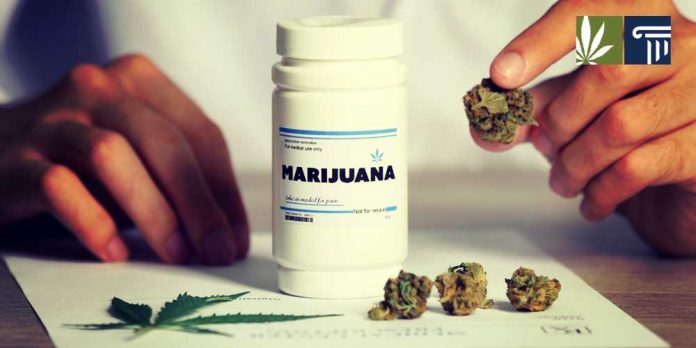 There are other reasons as well, however, that have to do with how various laws and regulations suited to the recreational market have made it more difficult to sustain the medical one. Frequent legislative changes affect OMMP’s ability to consistently regulate and monitor the medical marijuana market. Early Retail Sales that incentivized the use of OMMP by registrants to profit from the production and sale of medical marijuana. Insufficient funding and staffing resources to meet the demands of robust regulation. The “frequent legislative changes” are described as “nine cannabis bills that passed in consecutive legislative sessions since 2016,” which have, understandably, “brought significant changes…to the OMMP.” Many of these legislative changes were geared toward the recreational industry and adversely affected the medical program, in some cases simply by adding regulatory burdens. The report lists five laws passed in 2016 that affected the OMMP’s mission. Some of these laws, for example one that made it easier for disabled veterans to retain their medical cards, were intended to make things easier for the program, but nevertheless the changes were difficult to adjust to quickly. The year 2017 saw three bills and 2018 one; all have strained the resources of the OMMP. As an article in the Guardian points out: “At the height of the medical marijuana industry there were 420 dispensaries in Oregon. Now there are only eight.” The newspaper relates the story of the owner of “one of three” medical-only processing companies that remain in the state. One example of how the recreational market has adversely affected the medical one is limits on dosage. For medical patients, including those who are in hospice care, concentrates with high THC and cannabinoid levels are necessary. The recreational market caps servings of edibles, for example, at 100mg THC, which is not enough for many patients. This leaves patients with few choices. Patients, who are often poor, must buy and eat unrealistic amounts of recreational edibles, find one of the few remaining medical dispensaries, or turn to the black market. “All the people that we made these laws for—the ones who are desperately ill–are being screwed right now and are directed to the black market,” the Guardian quotes the chief of operations at the processing company. The regulatory end of the OMMP is suffering as well. The report cites “insufficient and inaccurate reporting and tracking” and “insufficient funding and staffing.” This has led to a lack of ability to manage the program. For example: “In April 2016, medical marijuana processors began submitting registration applications. Processor applications are complex and require extensive staff training prior to review. Review of processor applications did not begin until July 2016.” The report also shows that the number of medical dispensaries went into steep decline beginning with recreational legalization. One result of this lack of oversight is some suspicious market patterns. Growers are not being monitored, and there are reports of marijuana grown in Oregon making its way to illegal states. In addition, in response to reports of medical cardholders buying suspiciously large quantities of marijuana, the Oregon Liquor Control Commission recently reduced the amount that medical cardholders could buy from twenty-four ounces a day to one. As recreational legalization brought a rush of new license applications and a surplus of bud, Oregon’s patients are being left behind, and the OMMP is struggling to maintain itself. While new legislation has been a challenge to keep up with, it may be that another bill may be needed to put the medical market back on its feet. What do you think? Should Oregon pass laws to make the recreational market help the medical market? Leave a comment below.